What do you think? Too matchy matchy? 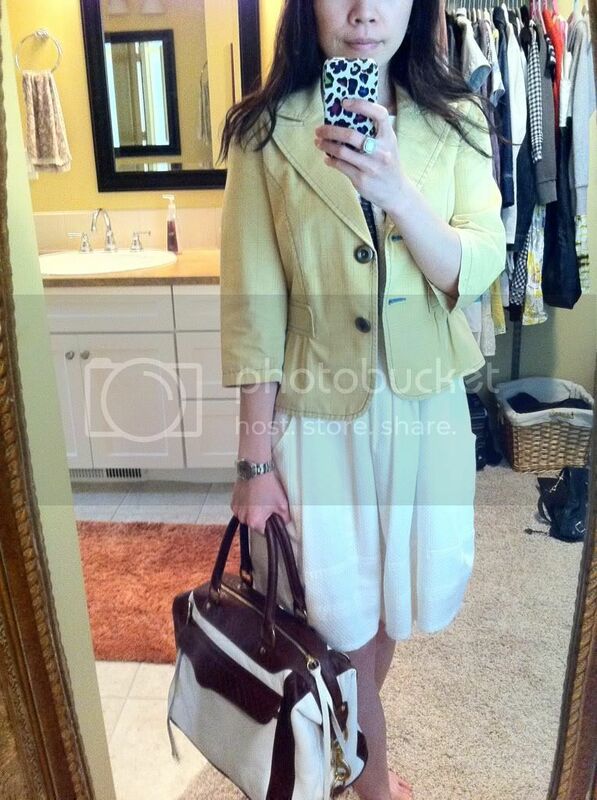 I have my Rebecca Minkoff Brown/White Basketweave Morning After Bag with me today. 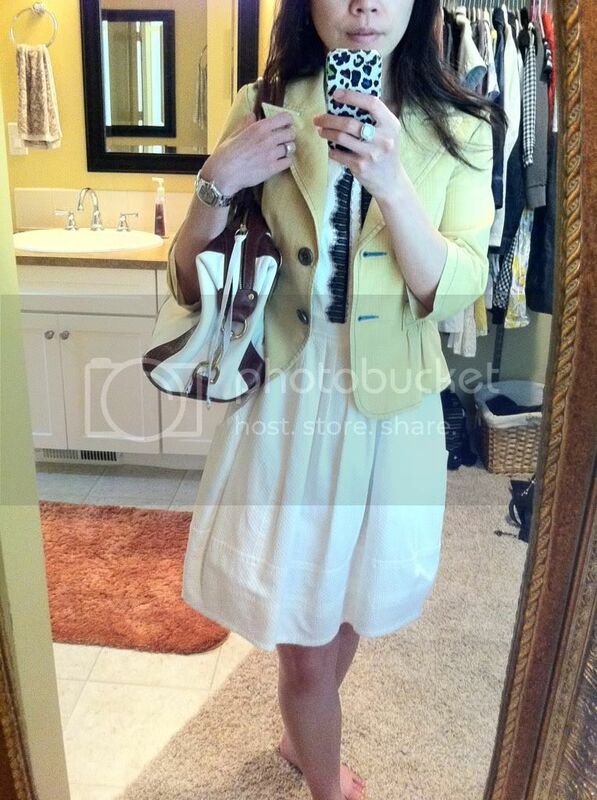 I paired it up with a mostly white dress and a pale yellow light spring/summer jacket.